You no longer all need to be in the same room to have a meeting and you’re not limited to just voice either, with video conferencing taking off in a big way. That’s helped in no small part by 4G, which allows you to conference from your phone or tablet anywhere with a 4G signal. 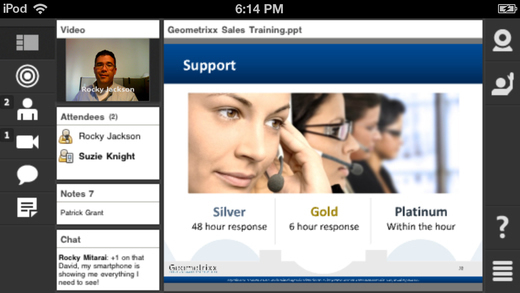 And with the vast number of smartphone apps now available there is a wide choice of video conferencing services too. These are five of the best. Skype is perhaps the best all-rounder for several reasons, especially if you only plan to conference with a small number of people. Firstly unlike some apps like Apple’s FaceTime it’s available on numerous mobile operating systems and also on desktop, so no matter what device you’re using you’re likely to be able to access Skype. And while most people probably think of Skype as being a one-to-one video calling service it actually supports conferencing with a recommended maximum of five people. The ability to send files and screen share also makes it easy to ensure everyone is on the same page and best of all it’s free (though it includes a fair usage policy). Sometimes a free app just won’t cut it and that’s where Adobe Connect comes in. With prices starting at $45 (around £30) per month it’s not cheap, but it’s multi-platform and packed full of features. Not only can you join or host meetings with up to 25 attendees, but it supports slide shows and animations, the ability to share presentations, multimedia and documents, add annotations, background imagery and more. Notes can be created and shared, polls can be run and only one of you needs a paid account, everyone else can sign up for a free account and download the mobile app. Despite being a Google service Hangouts is available on iOS and other platforms too and it simply requires a free Google+ account to use, something which many people are likely to already have. It’s not as full featured as some video conferencing services, which is unsurprising given that it’s both free and designed more as an all-purpose messaging tool than specifically for video conferencing, but it still allows up to 10 participants to take part and it has a handy screen share feature. 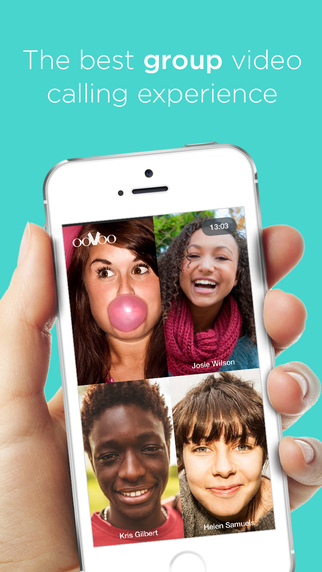 ooVoo isn’t quite such as big a name as some in this list but it’s amassed quite a following. As well as supporting text and voice messaging it has a video call feature which allows for up to 12 people to conference at once, using ooVoo’s own SuperClear technology for crisp and clear video calls over 4G, 3G and Wi-Fi without increasing data use. Calls are free and the company’s technology also detects and adjusts for connection speeds, ensuring there are fewer dropped calls than many other video conferencing apps. 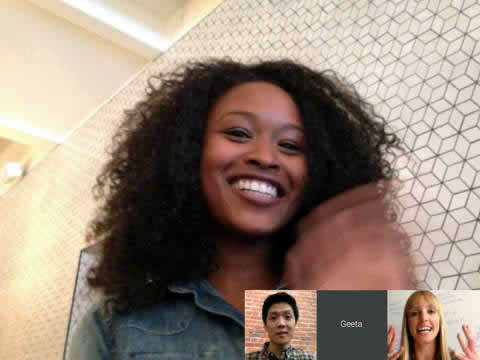 Plus ooVoo is a free download for Android, iOS, Windows Phone, PC and Mac, so everyone can get it. TrueConf is even less well known but it’s designed specifically for video conferencing. The app is free for Android, iOS, Mac and Windows and most of the features are free too, but you can also upgrade to a pro account to allow for up to 120 participants in a single video conference. Aside from allowing for a huge number of participants other highlights of TrueConf include the ability to log in with Google, Facebook, Twitter or other social networks, so you don’t need a TrueConf account to join a conference. While these are perhaps the five best video conferencing apps available there are dozens of other options out there if none of these suit your needs. A quick search of your app store of choice should turn up options with different feature sets, pricing and platform support, but the above options should suit most needs, whether you have a small or large budget, want a basic, clean app or a full featured one and want a low or large number of attendees and whatever app you ultimately opt for pairing it with a 4G device will allow you to create and join meetings from the train, a coffee shop or almost anywhere else.